Enamel cookware often has a cast iron base that's coated in a substance called vitreous enamel. Vitreous enamel is made by fusing melted glass to metal at a very high temperature. 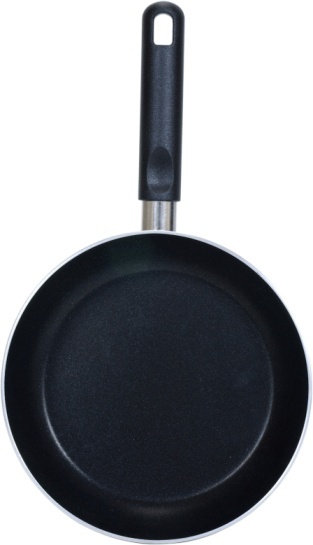 This smooth coating protects the metal underlying your cookware. In many cases, the enamel chips over years of use or as a result of improper care. It's possible to repair these chips or to seek a replacement piece if your enamelware is under warranty. 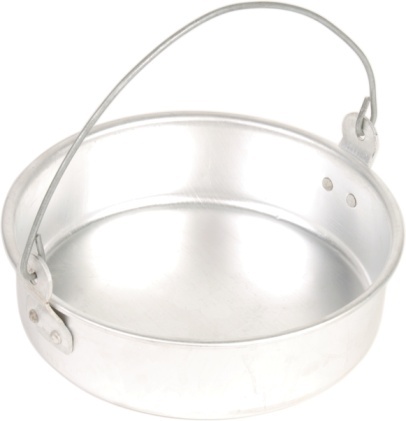 It's possible to temporarily fix chipped enamel cookware at home. However, most manufacturers don't recommend that you continue to use a chipped piece. This issue is less about the now-exposed metal and more about continual chipping from the damaged area, which could lead to ingestion of the enamel. Some manufacturers may warranty their items or offer repair services. In other cases, they may recommend you replace your cookware. If you do intend to request a replacement for a piece that's under warranty, you shouldn't attempt to follow the home-repair process, as doing so is likely to void your warranty. For a quick fix at home, you can purchase a food-safe enamel repair kit. Follow the instructions on the package for use. To repair your chipped enamel from scratch, purchase a food-safe epoxy. Use the epoxy to gently fill in the space left from where the enamel chipped away. Let the epoxy harden slightly, and then press a piece of waxed paper over it. Apply pressure to the waxed paper and flatten the epoxy against the cookware. Remove the waxed paper, and let the epoxy dry as specified by the manufacturer. Once the epoxy has dried, you can use 400-grit sandpaper to gently sand the edges of the repaired area so they are flush with the surrounding edges. Take great care not to scratch the nearby enamel. Using a food-safe enamel and a paintbrush, cover the epoxy area with a pigment as close in color to the original enamel as possible. Let it dry. Once you've finished the repair process, be sure to wash your enamelware extremely thoroughly to remove all sand or other remnants of the repairs. If you're temporarily repairing your enamelware using the method outlined above, you should still plan to replace your cookware or get it professionally repaired for long-term use. When enamelware chips, the exposed metal beneath tends to rust. You can remove this rust using 400-grit sandpaper. However, manufacturers don't recommend that you cook with any enamelware that contains rust, as it can be harmful to ingest. To encourage longevity, there are some basic rules you should follow for your enamelware. Avoid flashes of high temperatures, as these may damage your cookware. In addition, don't heat empty enamelware, as doing so may damage your coating. Wash your enamelware with hot, soapy water, but avoid leaving it submerged for long periods of time. If possible, don't use rough sponges or scrubbing tools on your enamelware, as doing so may scratch the enamel's surface. Enamelware can stain over time. If this occurs, brush a tablespoon of baking soda into your cookware. It should remove stains quickly.